I recorded two tracks for this Belgian band. I met Xavier Dubois (guitar) during a gig at Namur during a tour with Evangelista/Carla Bozulich. We kept in touch and he asked me for play on a record they prepared for the Venise contempory exhebition : COLLLISION ZONE. I recorded alone at the malterie (March 2009) timpany drone, tribal rythme and sliding cymbals. 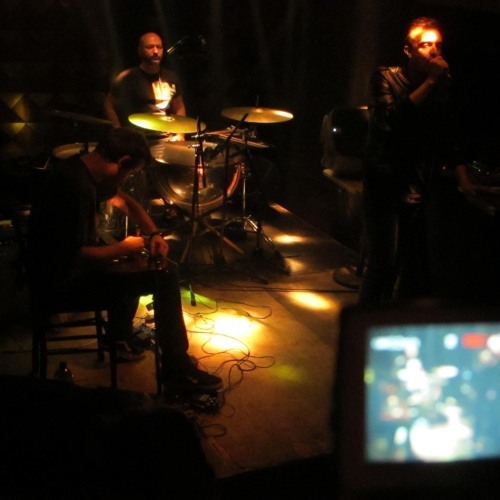 The complete album is available free : http://idiosyncraticsrecords.blogspot.com/ We continuous to play together, preparing a new album recorded on july 2010 and play live.